11/18/16 FYSF #Thanksgiveaway Edition: Win a $50 GC! We're gearing up for our EPIC Thanksgiveaway weekend sales and giveaways. To celebrate we're giving you a chance to make your holiday a bit brighter with a $50 Gift Certificate giveaway! This special edition FYSF Giveaway is open for TWO WEEKS which gives you plenty of time to enter to win. 11/11/16 FYSF, Win a GroVia O.N.E. Diaper! Tex and Calico, GroVia's newest prints have recently stocked at Diaper Junction and and to celebrate we have decided to give you all a chance to win any GroVia ONE diaper of your choice from our in stock selection. 11/04/16 FYSF, Win a Blueberry Organic Smplex Diaper! 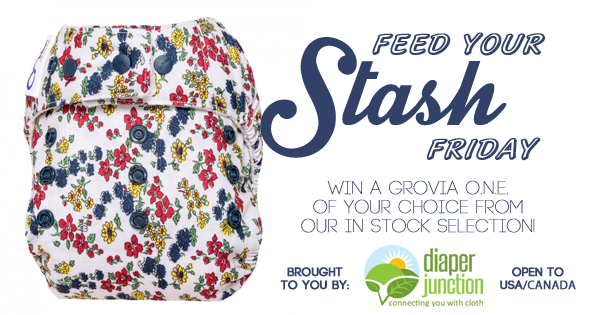 Welcome to a whole new Feed Your Stash Friday cloth diaper giveaway from Diaper Junction! 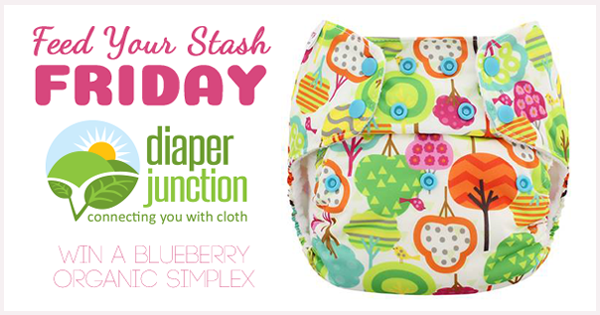 This week we're giving you a chance to win a Blueberry Simplex OS AIO Cloth Diaper!